Gretchen, Kyle & Clancy took a look at two particular works of a Kaijucast favorite, Japanese artist & director Keita Amemiya. If you re unfamiliar with the creator of this episode’s subject matter, Keita Amemiya is an artist in Japan. He is quite prolific as a film and television director and producer. 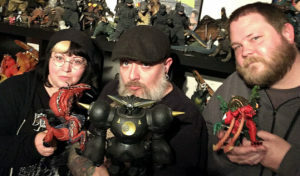 And while Amemiya has never produced any Godzilla movies, two of his works do feature some rather strange beasts and large monsters….so that’s what we are covering in this episode. In 1997, Keita Amemiya directed Moon Over Tao (aka Tao no Tsuki). This film is a mashup of samurai adventure, Japanese fantasy and science fiction genres and while it’s not very widely known in the kaiju fandom, Moon Over Tao was imported legitimately by Media Blasters/Tokyo Shock back in 2001 and is still available on DVD with both Japanese and English language options. 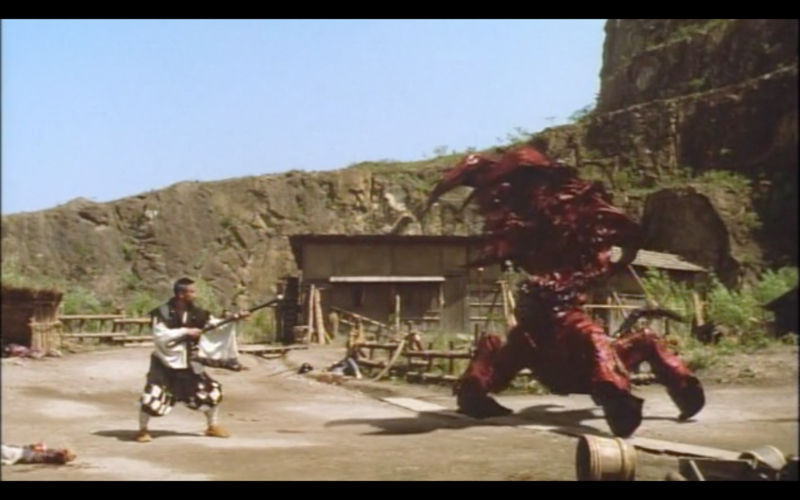 The film features a gloriously imaginative beast, the Makaraga, as the film’s big bad guy, in addition to a trio of very Ultra-seijin style alien gals played by Zeiram’s own Iria, Yuko Moriyama. Check the show notes below for a link to that DVD on Amazon because it is definitely worth your time and dollars. In 2000, Amemiya produced a six-episode television series for Fuji TV called Tekkouki Mikazuki about a young boy who discovers that he has a connection to a gigantic robot called Mikazuki. 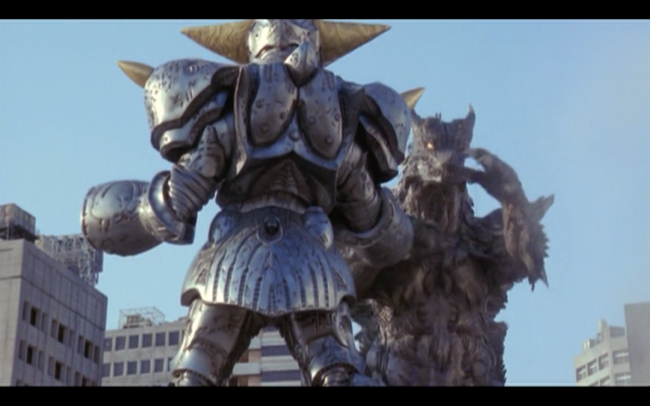 The series, also helmed by Amemiya, features just about every Tokusatsu element imaginable: kaiju, mecha, sentai, miniatures, science patrol – it has to be seen to be believed. I had always hoped that Media Blasters / Tokyo Shock would have imported this to the United States. It would have made sense since they did just that with four other Amemiya pieces: Zeiram, Zeiram 2, Mechanical Violator Hakkaider and Moon Over Tao… unfortunately it wasn’t meant to be. Since there’s been no stateside release, your best bet for watching Tokkouki Mikazuki is to check out the fan-subtitled copies that were uploaded to Youtube (link below). Hopefully someone will deem these two entries in Keita Amemiya’s filmography worthy of a blu ray release – both here in the states and in Japan! We also really hope that our enthusiasm for these titles will encourage you to seek out these entries in Keita Amemiya. There are only a few more days to submit your thoughts questions and reviews for Pacific Rim Uprising (2018) – make sure to turn in your homework by March 27th to be included in the episode!